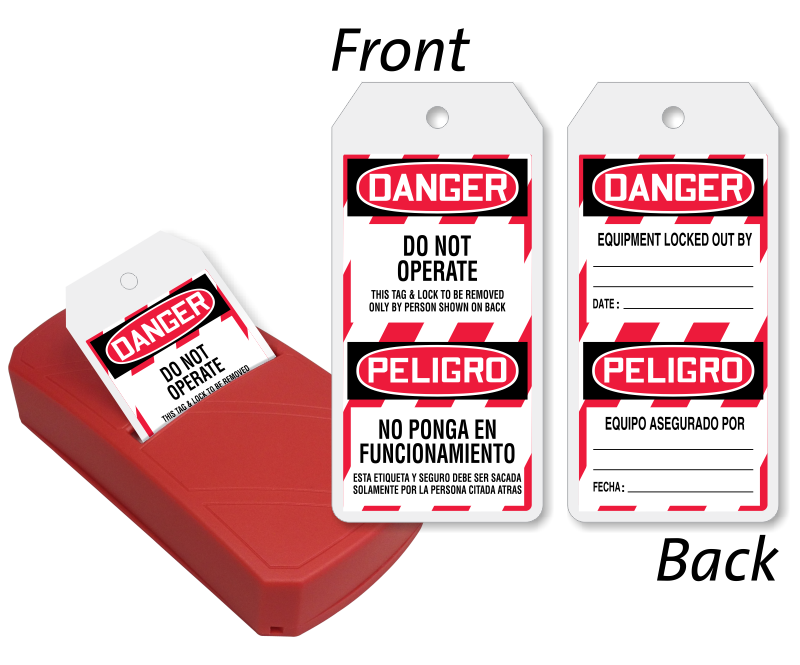 Need a more organized way to use Bilingual Do Not Operate tags? Have a look at our Take-A-Tag Dispenser. • Rugged plastic dispenser is portable and can be moved from one location to another in no time. • Tag dispenser can be suspended on a wall using two keyholes at the back. • 100 tags are stored in the dispenser. 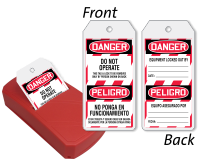 Tags are printed on both sides and feature a writable surface. • You can also order the next set of tags here.